Marcia K. Johnson is a Sterling Professor of Psychology at Yale University, among the highest honors bestowed on Yale faculty. Marcia was born in Alameda, California, went to public schools in Oakland and Ventura, and, having sampled classes from many of California’s excellent and then nearly free campuses of public higher education, received her B.A. (1965) and Ph.D. (1971) from UC Berkeley. She moved to Long Island in 1970 for her first faculty position at The State University of New York at Stony Brook, was recruited to Princeton University in 1985, and to Yale in 2000. She was also a Visiting Scientist at the Memory Disorders Research Center at the Boston Veterans Affairs Medical Center (1992-93). She thinks of Californian as her ethnicity and the East Coast as her home. 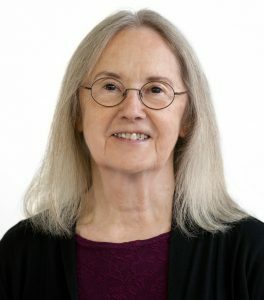 Marcia’s research has examined human attention and memory, including: the relation between comprehension and memory, mechanisms of veridical and distorted memory, component processes of reflection and consciousness; memory changes associated with aging; the relation between emotion and cognition; and the “self” in cognition. Her work has been described as “intellectually, empirically, and theoretically broad-ranging and bold” (APS William James Award citation, 2006). With colleagues and students, Marcia has proposed integrative models of cognition: the Multiple-Entry, Modular Model of cognition (MEM); the Source Monitoring Framework (SMF); the Perceptual/Reflective Attention/Memory Framework (PRAM). Her lab, often collaborating with other labs, has collected behavioral and neuroscientific data relevant to developing and assessing these theoretical ideas using an impressive array of methods: behavioral experiments, questionnaires, electrophysiological and neuroimaging techniques, and investigating various populations. She is a trailblazer and hands-on driving force of the excellent research generated by her lab, but her generosity in acknowledging the work of others and encouraging her students to develop their own ideas is legendary. Marcia was elected to the National Academy of Sciences in 2014. Other awards and honors include Fellowships from the Center for Advanced Study in the Behavioral Sciences (1987) and the John Simon Guggenheim Memorial Foundation (1984), James McKeen Cattell Fund Sabbatical Award (1983), American Psychological Foundation Gold Medal Award for Life Achievement in the Science of Psychology (2011), American Psychological Association Distinguished Scientific Contribution Award (2006), and American Psychological Society William James Fellow Award (2006). She has received grants from NSF, NIH/NIA, NIMH, Alzheimer’s Association, and Pew Charitable Trust. In addition to her outstanding science, she is recognized and loved for being a “valued mentor and colleague, with infectious enthusiasm, warmth, generosity, and humor” (APA Distinguished Scientific Contribution Award citation, 2006) and her awards include: the Master Mentor Award from APA Division 20 (2005) and the Mentorship Award from the Yale University Graduate School (2005). She is also is a tireless, highly effective, and well-respected leader in service to the field, her department, and her university. Marcia is a Trustee of the James McKeen Cattell Fund, a Fellow of the Association for Psychological Science, American Psychological Association, and Psychonomic Society, and a member of the Cognitive Neuroscience Society, Society of Experimental Psychologists, Memory Disorders Research Society, Society for Neuroscience, and the Society for Applied Research in Memory and Cognition. *FABBS would like to thank Dr. Karen Mitchell for nominating Dr. Johnson for this honor and for leading the effort. Would you like to honor Dr. Johnson? It’s not too late to have your name added to the list of donors! You can make your donation to Dr. Johnson’s In Honor Of… campaign at anytime.